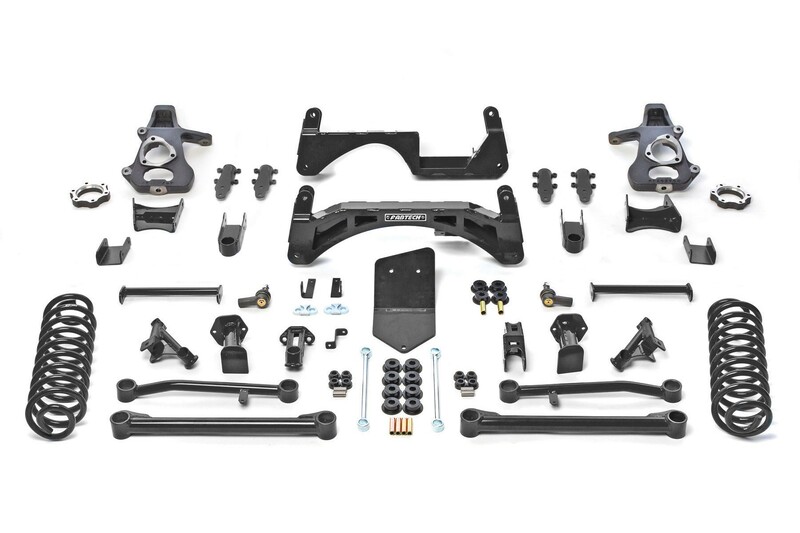 This system features our proven one piece high arched lower crossmember design with an integrated differential skid plate for solid support of the front suspension. Special attention was given to the design of replacement extended length steering knuckles to keep the track width of the vehicle near stock while retaining turning radius for easy maneuverability in tight areas. 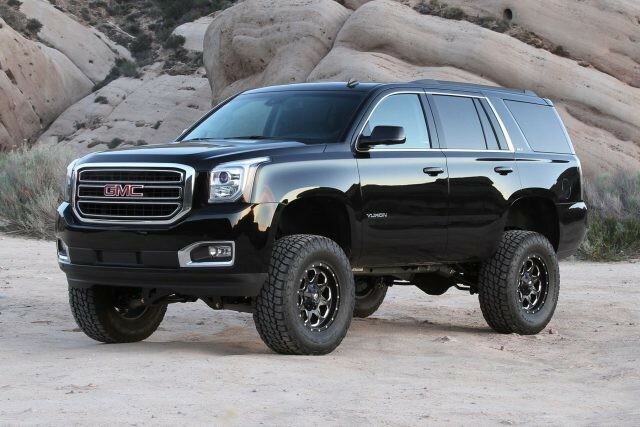 The rear system features extended length tubular upper and lower link arms with an oversized Trac bar relocation bracket to properly place the axle under the vehicle with zero driveline vibration. Rear coil springs maintain proper ride height. The Basic System also includes front strut assembly spacers and rear performance coil springs. This system provides a stock like ride and is compatible with all MagneRide and Non MagneRide models.